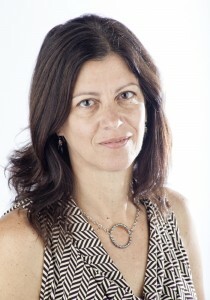 KATHERINE REED joined the journalism faculty in 2004 after a five-year stint in Prague, Czech Republic, where she was the editor-in-chief of Prague Business Journal and an instructor at the Center for Independent Journalism. She taught news writing and reporting at Hollins University in Roanoke, Va., where she also worked as a copy editor and film/theater reviewer for the Roanoke Times. Reed has done work with the Dart Center for Journalism and Trauma at Columbia University and the Disaster and Community Crisis Center at MU. She now teaches a standalone trauma reporting class for undergraduate and graduate students. For nine years, Reed has also taught the cornerstone reporting class taken by undergraduate and graduate students who are pursuing degrees in photojournalism, magazine and print and digital media. She is an editor at ColumbiaMissourian.com where she supervises students covering public safety (crime and the courts) and health care. Jun 18, 2008: Columbia Missourian Celebrates Its 100th Birthday with a "Party of the Century"
Jul 30, 2007: New Fellowship Announced for Adelante!